Denim Blue tint in a gloss & polish finish. Black and white Takayama Ocean Tern and Oval logos. Triple Redwood stringers of 1/4" doubles set 7" outside a 1/8" core. 2+1 setup with FCS Fusion Fins and Takayama center fin all included. 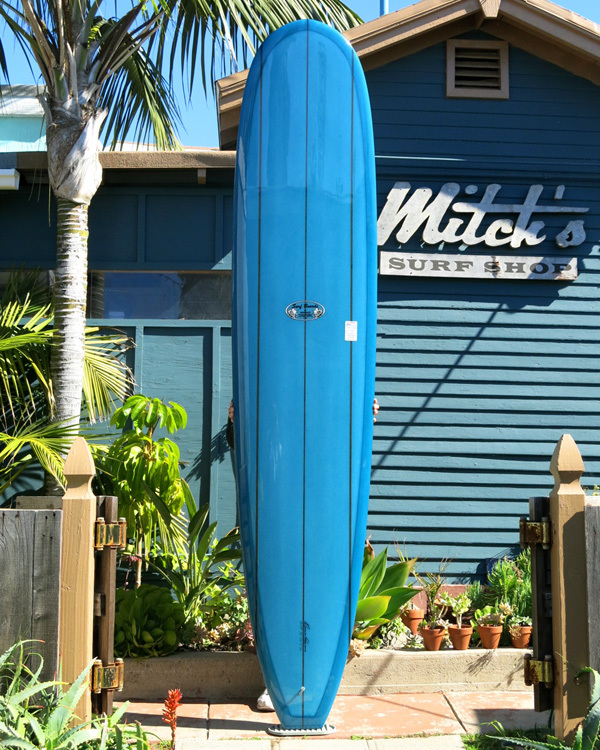 Length: 9' 2" Width: 22 7/8" Thick: 3"
Nose: 19 7/8" Tail: 14 3/8"
Hand shaped and glassed poly foam.